Imagining your wedding as an elegant Spanish-style Gatsby bash? Or a colorful steam-liner revival soiree? Having trouble actually seeing all your potential wedding elements coming together? The Northlake Wedding and Events Tour would like to paint you a picture. [caption id="" align="alignnone" width="500"] Look for full-on reception decor like this festive table from the 2013 tour. 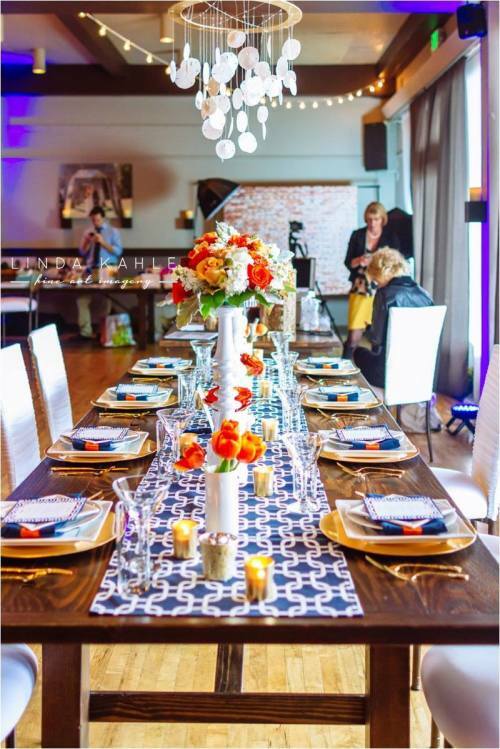 Now in its third year, the event brings together nearly 80 different wedding professionals at seven separate Northlake venues to showcase ideas and general wedding inspiration for the urban-minded couple—or anyone planning a party. Some of this year's venues include the Fremont Foundry (the site of our summer First Look event), Hotel Deca, and the Lake Washington Rowing Club. Each venue will be done up in a different theme, and guests can chat with the wedding pros responsible. Vendors range from florists to photographers, food trucks to wedding planners, dessert specialists, stationers, and everyone in between. In the gown hunt? Brides for a Cause will be on hand with hundreds of discounted designer gowns. Sales help grant dream weddings to couples facing life-altering circumstances. Take the tour on Sunday, November 9 from 11 to 4. Registration is open from 10:30 to 12 at the University of Washington Center for Urban Horticulture. From there, transportation will be provided between all of the venues. Tickets are $20 for individuals or $30 for a couple and can be purchased on the Northlake Weddings event page.